I used to always have to make my mug of golden milk at home before it became trendy. These days, my life’s gotten a bit easier because I can find golden milk on many coffee shop menus. 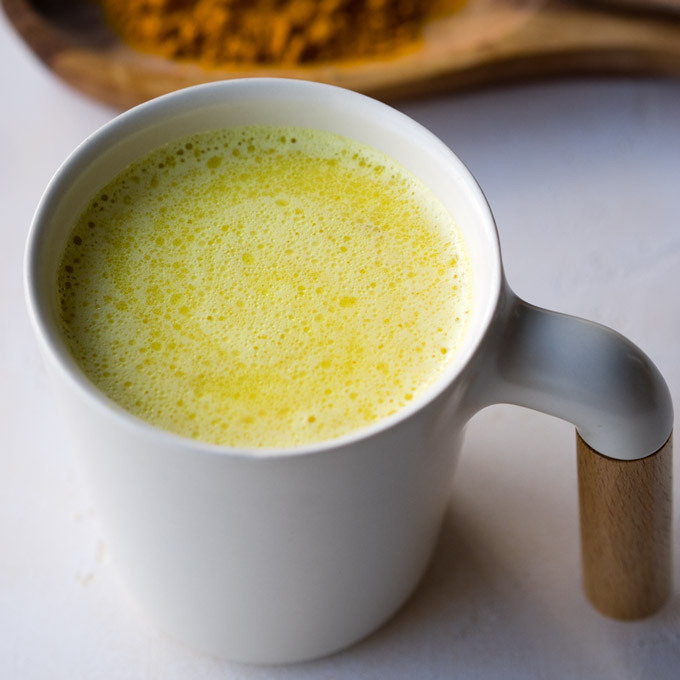 It goes by many names: golden mylk, turmeric latte, turmeric milk, golden milk latte. 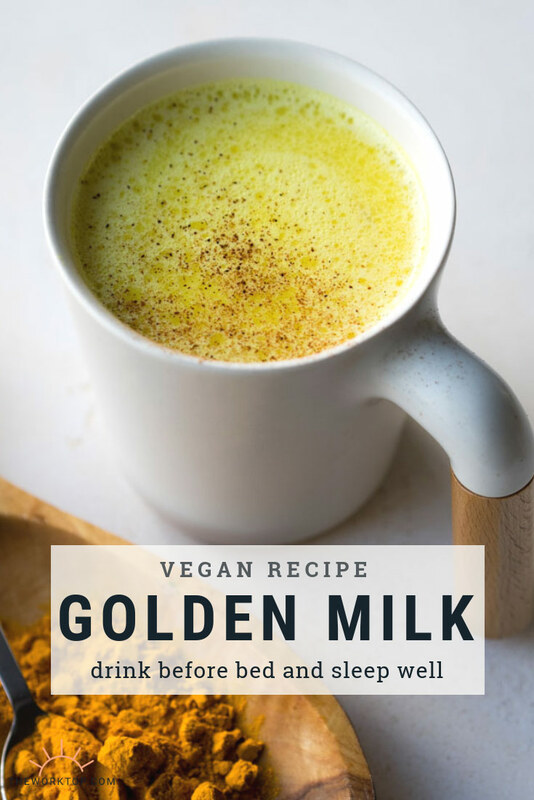 And you can even order golden milk made with an assortment of different milks – cow’s milk, almond milk, cashew milk, oat milk, and coconut milk. More often than not, I find vegan golden milk on the menu. The subtle differences of golden milk made with different types of milks is fascinating. If you ever have the time, I’d recommend making golden milk with each of the different milks so you can find your favorite. 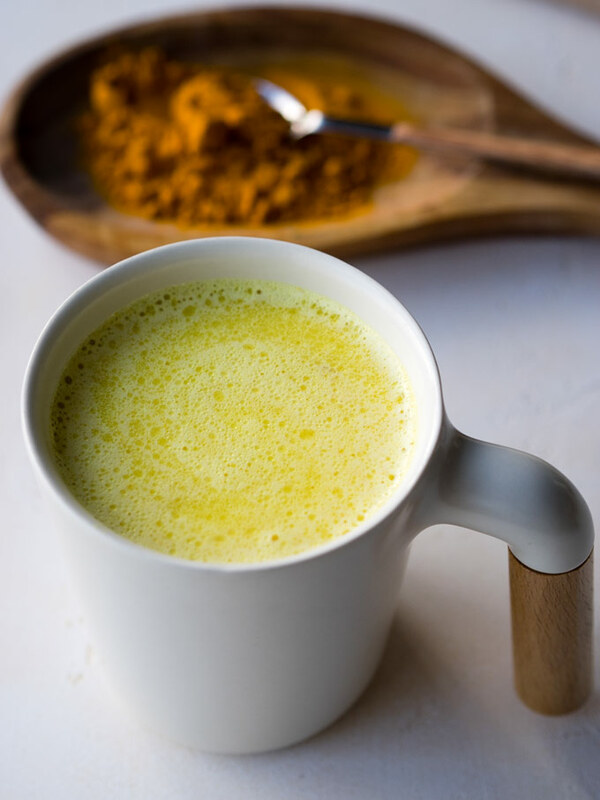 Today, I’m sharing a Golden Milk Recipe with Coconut Milk (Turmeric Coconut Milk). I picked coconut milk because I find that the fruitiness of the coconut really brightens up the earthy taste of turmeric. And if you haven’t tried that before, I think you will enjoy it. This isn’t the first time I’ve posted a golden milk recipe on The Worktop. You can find my other recipe here. What’s the difference you ask? Well, there are two ways to make golden milk at home. The first requires making a golden milk paste, and whisking a spoonful of that paste into a cup of milk each time you would like to drink golden milk. You make the golden milk paste ahead of time, so it’s very quick to make a mug of golden milk when the craving hits. I go into details of the “paste method” in my Spiced Golden Milk recipe with turmeric paste, if you are interested in reading more about it. The recipe for this Golden Milk with Coconut Milk does not require a golden milk paste. Instead, you whisk spices directly into a pot of warm coconut milk and drink immediately. 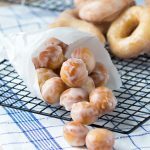 This recipe is more convenient if you don’t plan on drinking golden milk for several days in a row, since you aren’t stuck with using up a small jar of golden milk paste. 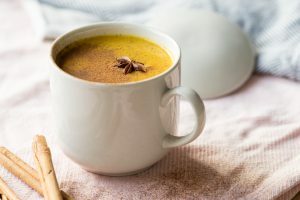 But at the same time, it takes a bit more effort to make each cup of golden milk since you need to open the spice cabinet and measure out a handful of spices each time. Don’t let that deter you though! This golden milk recipe with coconut milk is very easy. When I say “it takes a bit more effort,” I mean it might take you five minutes before you have this delicious warm milk drink in your hands. If you have time though, you can also let the turmeric coconut milk simmer a bit longer on the stovetop, so the flavors of the spices have more time to develop and steep. What kind of Coconut Milk do I use in this Golden Milk? I make this golden milk recipe with the cartoned coconut milk beverage. Generally, the cartoned coconut milk beverage is less thick, smoother, and contains less fat than traditional canned coconut milk. It’s a matter of preference because canned coconut milk can work in this recipe. 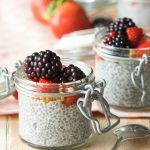 If you make the recipe with canned coconut milk though, you may want to opt for a low fat version, and you probably want to substitute half of it with another type of milk alternative. Making this golden milk recipe with 100% canned coconut milk will probably taste a bit too thick to you too, and contain high levels of fat. 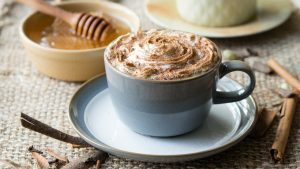 But it really is a matter of preference whether you use all cartoned coconut milk beverage, or substitute some of that with canned coconut milk. 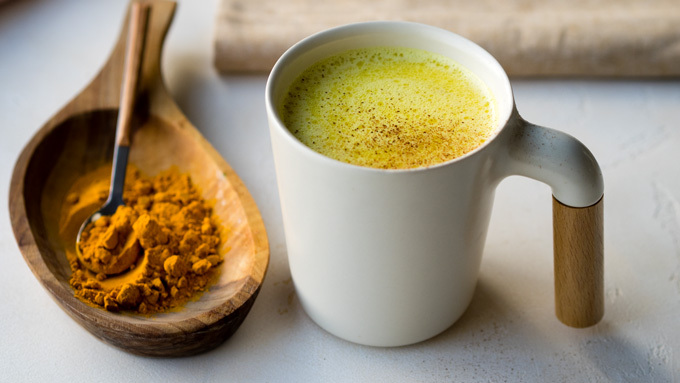 If you see golden milk or turmeric latte listed on your local coffee shop menu and haven’t tried it before, I’d definitely suggest you to do so at least once. The benefits of tumeric are long and many, including having anti-inflammatory properties and boosting your body’s antioxidant capacity. 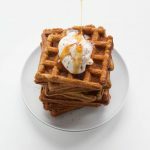 And even if your local coffee shop serves golden milk, this turmeric coconut milk is one of those recipes that you can easily make tastier (and for cheaper!) at home. Plus you can choose exactly what kind of milk you want to use for your golden milk — in this case, coconut milk! 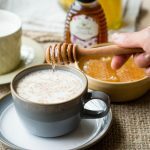 I know adding turmeric to warm milk might sound a bit unconventional, so if you aren’t quite ready to try this turmeric coconut milk, I’ll point you in the direction of this Warm Spiced Milk and Honey recipe. In a small saucepan, heat the coconut milk and coconut oil over medium heat. Whisk in the ground turmeric, ground cinnamon, ground ginger and ground black pepper. Heat until the milk is warm, whisking frequently. Do not let the milk boil. Slowly whisk in your sweetener of choice. I suggest starting with 1 teaspoon, and adding more as desired. You can remove from heat immediately after the coconut milk is warmed and everything is whisked in, or you can allow the spices to seep for about 10 minutes on the stovetop, if desired. Remove from heat and pour into a mug. This is best enjoyed immediately, before the spices fully settle on the bottom. 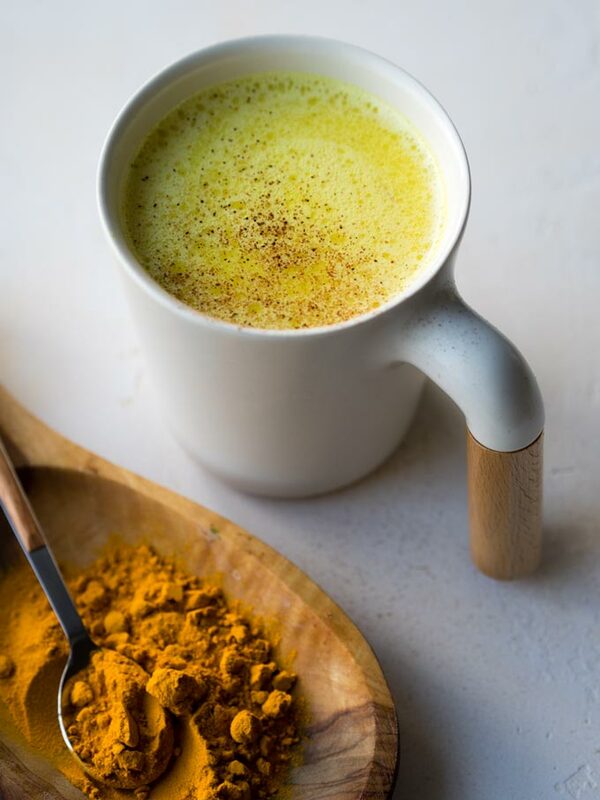 You may also want to serve this turmeric latte with a spoon so you can give it a gentle stir before each sip. If you would like to make golden milk using a golden milk paste, see this recipe. 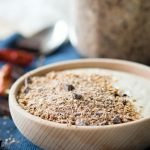 If you make the recipe with canned coconut milk, you may want to opt for a low fat version, and you probably want to substitute half of it with another type of milk alternative. 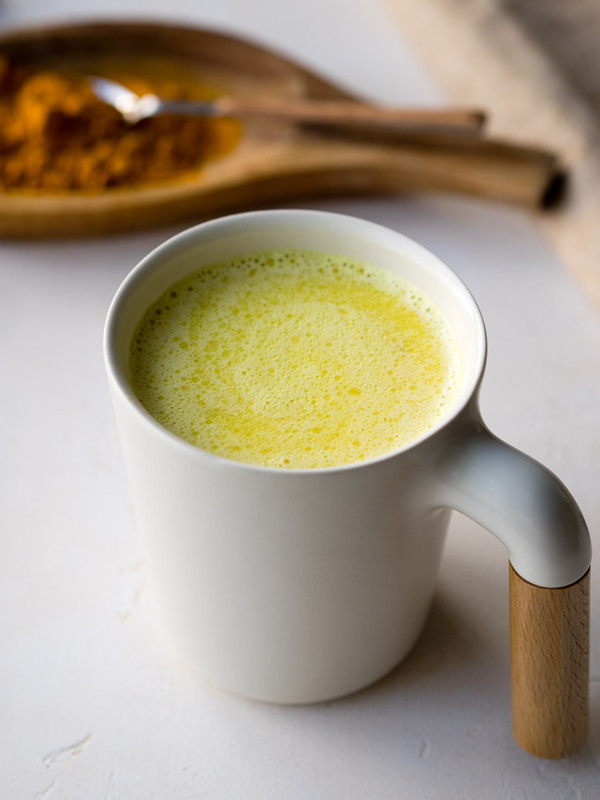 Love this Golden Milk with Coconut Milk Recipe? 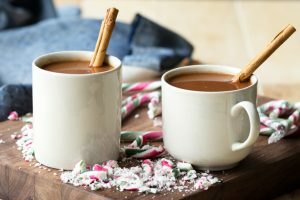 Try these other warm milk drinks! This is an enjoyable drink with a lovely, tasty, combination of healthy spices. Whisk thoroughly, enjoy, and let the ingredients bring healing to your body! 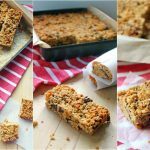 Super lovely recipe! I used to make this a lot when I first stopped eating meat (though back then I called it ‘turmeric tea’) but had lost my recipe so I kind of just stopped making it all together. 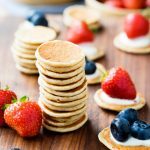 Stumbled across this recipe and I’m so happy I did! 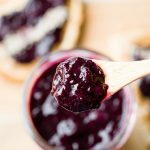 It’s so quick and easy to make and is so delicious, especially on gloomy days. This recipe is definitely better than the recipe I used to have, which required an insane amount of each spice. Thanks for posting this! So delicious!!! I made mine with canned coconut milk and honey. 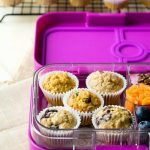 It was a huge hit with my husband, too! I think we will be making this often! Ooooh great idea to make a paste at the ready for when the craving strikes. And can I say, I am in LOVE with that mug, it is so lovely. 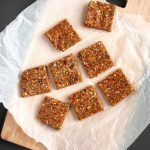 I have seen recipes like this a lot and have a ton of turmeric, but have never tried…I think I will have to give it a shot, everyone seems to really enjoy it.